Bob Finally gets his Chance ! 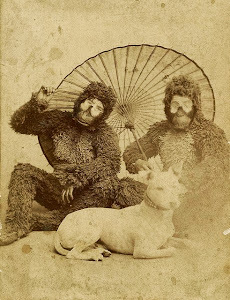 My dear friend , and gorilla mentor Bob Burns has related the tale of his first "professional" gorilla man job in both of his books ( It came from Bobs Basement) and( Monster Kid Memories) and several articles as well. 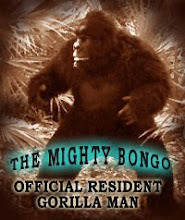 The story tells not only of Bobs entry into the industry, but also his first "run-in" with Hungarian gorilla man Janos Prohaska. Janos had a major television career in the 60's on such shows as Outer Limits, Star Trek, Gilligans Island, and he played "cookie the Bear" on the Andy Williams Show. As such , Janos wasn't too cool on the idea of a new gorilla man muscling in on his jobs. 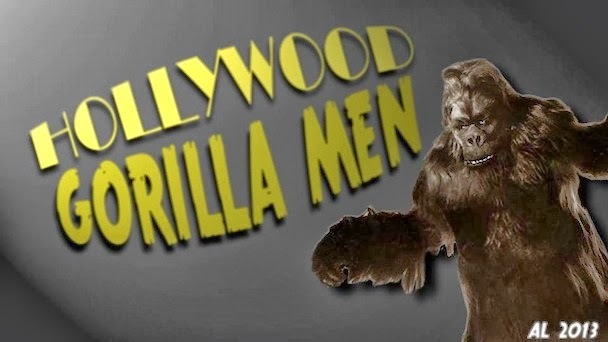 Bob was hired to play a gorilla on the Mickey Rooney show. 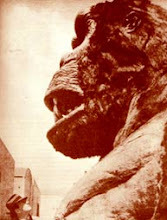 Janos Prohaska was already cast in the role of another gorilla. Having set the stage, I'll let Bob take over in his own words, describing the story of the episode, and the behind the scenes antics. Take it away Bob ! OK, well, Mickey Rooney tries to get into MGM studios to see if they will use his marina store to shoot a TV show. He has no appointment so the guard tosses he and his pal, Bobby Van, off the lot. When leaving they spot a guy walking in with a gorilla (me). Mickey gets the idea to rent an ape suit for Bobby and walk right in to the studio after waving to the guard. The ape suit is awful but it fools the folks on the lot. A workman tells Mickey to put the "ape" in a holding stage along with a chimp (Stuntman Jesse Wayne) and another gorilla (me). , I'm supposed to be a female gorilla as I make a pass at Bobby in the ape suit. He freaks and runs out. A man brings in another gorilla (Janos) and puts him where Bobby was. Of course, Mickey comes in a grabs the wrong gorilla (Janos) a takes him to the set where the director is working who Mickey wants him to shoot the show at his store. It goes crazy from there as the real gorilla tosses the director out of a window. I ended up staying late that night to re shoot most of Janos's scenes because, I'll just say that Mickey, the producer, and the real director liked me and my suit a lot more than Janos. Anyway, A few months ago my Friend, Tom Woodruff Jr., Who is now the best gorilla in the business ended up with Janos' gorilla suit. I had told him the story of how I never got to see inside of Janos' head so he brought it over to my place so I could finally see inside of the head. I looked and said Ahh... Crap his head is just like mine. No fancy stuff at all. All of those years ago I wondered why he didn't want me to see it. I bet he was really bummed to see it was just like mine.